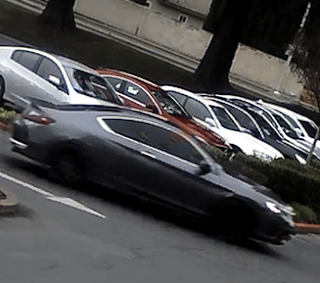 The Elk Grove Police is asking for assistance to identify a suspect wanted in connection with at least five indecent exposure incidents in Elk Grove and other areas. In each case, the male suspect drives up to the victim, exposes himself while masturbating and once he gains the victim’s attention he leaves the area. The incidents started January 30, 2019, and the most recent incident occurred on March 14, 2019. There have been no reported injuries during any of these incidents. Some of the incidents have occurred in or near shopping center parking lots. 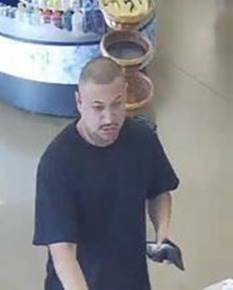 The suspect is described as a Hispanic male adult, 30-40 years old, and balding (pictured above). The vehicle description in all cases has been described as two-door Honda Accord with a black colored paper plate with “5 STAR” printed in yellow (pictured below). Anyone with information regarding this investigation is asked to call the Elk Grove Police Department Detective Bureau at (916) 478-8060 or the Sacramento Valley Crime Stoppers at (916) 443-HELP (4357). Callers to Sacramento Valley Crime Stoppers can remain anonymous and may be eligible for a reward of up to $1,000.00. Tips can also be sent via SMS text message by entering CRIMES (274637) on a cell phone, followed by Tip732 (agency identification number) and the message.